But the spell was created to keep people silent. It wouldn't have a purpose if the ribbon was removed. Also the fact that in order for everyone to be free and speak Vivian had to remove her ribbon. Also wasn't "Nerissa" afraid to have her ribbon removed even after Vivian removed hers? Georgie said they would be "free" if Vivian removed hers. What did he mean by free? Free to speak or free to not worry about someone being killed if the ribbon were removed. Maybe we haven't been looking at this the right way. Maybe the ribbon has nothing to do with sealing lips. It wasn't the ribbon keeping the mirror off of their trail, it was the glamour! Yeah, but she's already dead. TJ just gave evidence, Bigby saw the head, and the body's over in the next room. So as a test for the ribbon spell, it works. It's not a theory exactly, but if you compare the amount of blood at Vivian's suicide to the bed at the Open Arms, there's way too much and it's spread out in a way that doesn't seem like what you'd get if someone only lost their head-and more like if someone was maimed. Lily's body, even without the glamour, doesn't have any blood soaked into the clothes like what you would expect. So beyond Lily's murder, something else went on at the Open Arms, or maybe Lily got those flowers in a different way that we thought. I don't know where the body is (God forbid at Johan's), but I don't think it's in good shape. It's even possible, that if Faith survived and wanted to be rid of evidence... But I really don't know. has anybody got any theories on where the first body is? im surprised it gets forgotten so easily no one even mentions it after the first episode. Ok, I think that's a valid interpretation. I personally think it's a stronger interpretation that the ribbons are involved with the Mirror, since the Mirror says "these lips are sealed". --However! Either way, especially if the Mirror doesn't tell us anything about ribbons, it's still not a good a good indicator for whether Faith was alive, since it couldn't give information about magically protected dead people. Nerissa implies that the ribbon seals speech in several places, and Georgie says that they do when he's explaining about Vivian. But yes, the women with ribbons could still be in danger of losing their heads. But the spell was created to keep people silent. It wouldn't have a purpose if the ribbon was removed. Also the fact that in order… more for everyone to be free and speak Vivian had to remove her ribbon. Also wasn't "Nerissa" afraid to have her ribbon removed even after Vivian removed hers? Georgie said they would be "free" if Vivian removed hers. What did he mean by free? Free to speak or free to not worry about someone being killed if the ribbon were removed. Maybe we haven't been looking at this the right way. Maybe the ribbon has nothing to do with sealing lips. It wasn't the ribbon keeping the mirror off of their trail, it was the glamour! Although you make very good points, I'm not denying that' All of these can be countered as Nerissa glamoured as Faith in the start, and Nerissa being ACTUALLY Nerissa in the end. Which is what I still believe. Anyway, you obviously have a great care for the TWAU to do so much investigating, and I commend you for that. I guess we'll all just have to wait and see in Season 2. My point wasn't rather Faith was alive, my point is that there is no solid conclusion and we're being duped into thinking it's either Nerissa or Faith. 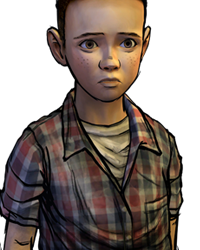 There's a reason why none of us have come to a conclusion to who it was because Telltale wrote it so it could be who chose it to be! There's not enough evidence to prove ethier right or wrong because it's our choice who it is! Essentially, we're all debating over nothing. Hahahaha! Ok, I think that's a valid interpretation. I personally think it's a stronger interpretation that the ribbons are involved with t… morehe Mirror, since the Mirror says "these lips are sealed". --However! Either way, especially if the Mirror doesn't tell us anything about ribbons, it's still not a good a good indicator for whether Faith was alive, since it couldn't give information about magically protected dead people. Nerissa implies that the ribbon seals speech in several places, and Georgie says that they do when he's explaining about Vivian. But yes, the women with ribbons could still be in danger of losing their heads. glamours not covering wounds, like Lilys leg marks after the cinderblocks. There could be a possibility that she could have cut herself before she used the glamour and that the glamour could be covering up her cut. Lilys clothes were clean because her body was dumped into the river. Like water cleaned it all off. It's not a theory exactly, but if you compare the amount of blood at Vivian's suicide to the bed at the Open Arms, there's way too… more much and it's spread out in a way that doesn't seem like what you'd get if someone only lost their head-and more like if someone was maimed. Lily's body, even without the glamour, doesn't have any blood soaked into the clothes like what you would expect. So beyond Lily's murder, something else went on at the Open Arms, or maybe Lily got those flowers in a different way that we thought. I don't know where the body is (God forbid at Johan's), but I don't think it's in good shape. It's even possible, that if Faith survived and wanted to be rid of evidence... But I really don't know. If she was faith then why would she need to bust her own make up lock? Why where they fighting on that picture on the steelwork docks? It makes more sense the other way around. Faith being Nerissa doesnt really make a lot of sense to me. How about impersonating Faith's Fable to begin with? I mean there are theories that she was actually the one with the woodsman to begin with no? There was a whole thread where someone explained to you these points, yet you are still announcing and stating that Nerissa was Faith all along. I think you are over thinking things too much. Gerogie killed Faith and Lilly. It was stated in the game. And where you are coming here it would mean that Nerissa would had to be glamoured as Faith and Vice versa at the same time just for some reason. Which again doesnt make sense. I think even if the user was dead the ribbion would still hide the person. The crookedman would not want someone to find a corpse of anyone he killed. 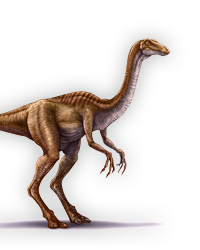 The ribbion was used to make sure nobody could talk, So it's possible he also used it to hide the person dead or alive from the mirror. You might be on to something. It means whoever isn't in glamour should be able to be shown. Faith - We also get "lips are sealed". But we already found her head. If that head was really hers and not in glamour, then it should be okay to reveal her location. So the head is really Nerissa's? We never find Faith's body or see the head again after that.. Let's hope for a DLC of explanation or a S2. Only if they dumped the body minutes after, though. Otherwise the blood would have set beyond what a soak in cold water could wash away. (Granted, I've never worked with bloodstains that big so if a crime enthusiast wants to correct me, feel free.) But if they got rid of the body immediately, then there wouldn't have been time for the blood to make that mess on the bed, especially if it really was only blood from Lily's head. So, it still wouldn't be a good match. Since Lily was a troll in glamour she probably would bleed out that much, that quickly. 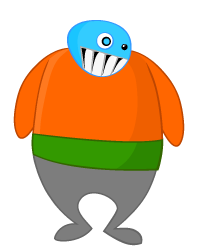 Trolls are very large so that could be why there was so much blood in comparison to Vivian. Only if they dumped the body minutes after, though. Otherwise the blood would have set beyond what a soak in cold water could was… moreh away. (Granted, I've never worked with bloodstains that big so if a crime enthusiast wants to correct me, feel free.) But if they got rid of the body immediately, then there wouldn't have been time for the blood to make that mess on the bed, especially if it really was only blood from Lily's head. So, it still wouldn't be a good match. Agree with whatever you like, but in response to the destruction of her makeup box, that was probably done by Georgie or somebody looking for the picture she stole. I disagree with you. If she was faith then why would she need to bust her own make up lock? Why where they fighting on that pi… morecture on the steelwork docks? It makes more sense the other way around. Faith being Nerissa doesnt really make a lot of sense to me. I think that Faith said she would drop by your office right at the beginning, and then how Nerissa showed up at your office later on could have been a parallel. I don't know what to believe. It's all too confusing for me. C is the third letter of the alphabet, Half-Life 3 confirmed via Colin confirmed as Machiavelli in pig glamour. Colin confirmed as Machiavelli in pig glamour. This works both ways, why would Nerissa bust Faith's lock? She already glamoured herself as Faith and convinced Bigby that she is dead why would she need to steal her stuff? 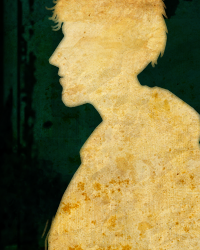 I don't believe the clues exist for us to actually make a determination of who Nerissa really is at the end of the game. I'll expain first why it is definitely a someone in disguise as someone else situation. At the beginning of the game, in episode 1, we met someone purported to be Faith. 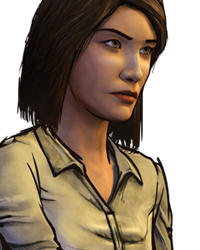 This Faith, after her altercation with Woody, tells Bigby "You're not as bad as everyone says you are." Then, at the end of the game, we're talking with someone who is purportedly Nerissa. This Nerissa tells Bigby what happened with the damming picture and then leaves town after saying "you're not as bad as everyone says you are." This comment prompts Bigby to then have flashbacks to multiple conversations with "Faith" and "Nerissa" that were so similar we are meant to believe that Faith and Nerissa are somehow the same person. If it were cut and died and Nerissa was Nerissa at the end and all through the game then the whole flashback sequence would have been unnecessary and the game would just end. Plus they add the whole Donkeyskin story in which Faith was able to escape her predicament by being in disguise as someone else. That story is there for a reason and it's clearly important because it presents itself in the flashback as well. 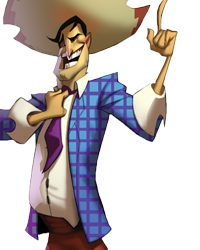 Therefore we can theorize that someone was in disguise as somebody either at the beginning of the game, at the end of the game or even throughout the game at various times. 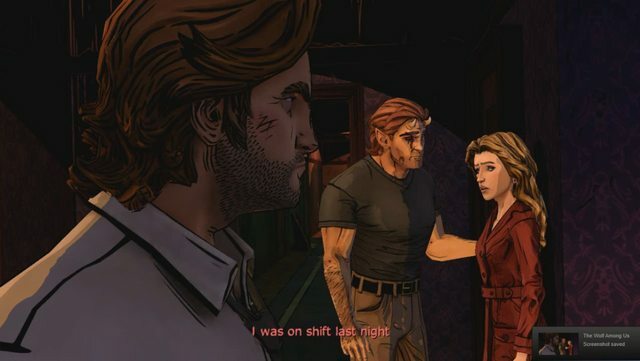 Faith can't be Faith when we find her head because when Bigby asks to see Faith in the mirror after finding her head the mirror tells him he can't show her. 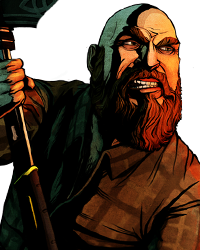 If Faith were really Faith when Bigby finds the head, wouldn't we then be able to see Faith in the mirror when Bigby asks? I mean, it can't be that the mirror can't show people who are dead because we are shown Faith's dead father. Larger though, after Lily glamoured as Snow is found, the mirror also says he can't show Lily. Thus we can theorize that if a body is glamoured then it can't be shown in the mirror. It's almost as if the person Bigby asks for doesn't exist if that person currently looks like someone else. Further, glamour only seem to break if the tube containing the glamor artifacts in opened. This *could explain why Swineheart can't finish with the first deaf body when, in the game we're told he needs more time. 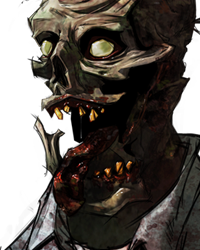 If dead Faith was actually a glamour, the time Doc needs may never come because no one has found the tube containing the artifacts disguising the body as Faith. 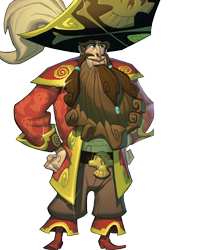 This is speculation though because we never specifically talk to Swineheart about this. Based on my rather long explanation above, it seems rather reasonable to theorize then, that dead Faith really isn't Faith but someone else. We know though that Lily, Faith and Nerissa exist as characters and we also know that after the two deaths that Lily and Faith are never seen alive again. Since we see Lily's body and they do the whole funeral in game, we can assume that Lily is truly dead. Since we meet Nerissa at the Pudding and Pie, we may theorize that Nerissa is the one truly alive. A. Was disguised as Faith at at the beginning in the scene with Woody but that she canceled the glamour after that and before Georgie was ordered to kill Faith. Or B. Did nothing until we first met her in chapter 2 at the Pudding and Pie and that Faith in the scene with Woody really was Faith. A in the above example makes no sense because why would Nerissa be disguised as Faith for the scene with Woody? 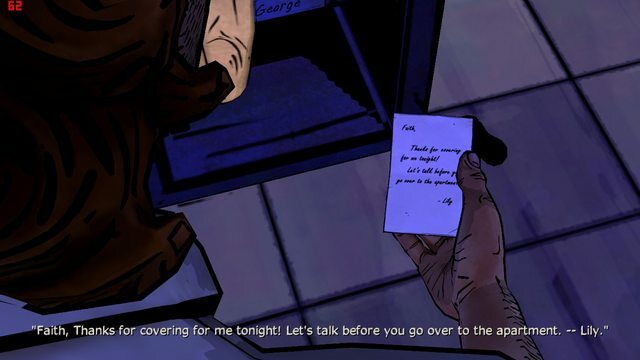 In Chapter 2 where we meet Nerissa, Bigby finds a note from Lily thanking Faith for filing in for her with Woody. For Nerissa to be disguised as Faith in the scene with Woody, she would have had to taken over for Faith who had already taken over for Lily and we aren't treated to a note thanking her for doing such. Now, it *could be possible that after Faith agreed to fill in for Lily everything went sour and THEN Faith was killed causing plans to change since now there was no Faith, but why would Nerissa THEN go as someone dead and not as herself? The safest thing to do would have been for someone filling in to disguise themselves as the person they were covering. Had they done that there would be no issue with Woody and therefore no need for Bigby to come. AHA! Since they don't so that, perhaps Nerissa glamoured herself as Faith at THAT point because she wanted to get Bigby's attention and since she knew Faith had already been killed maybe that's when she decided to use Faith's had on the doorstep! The problem there then is that if that were the case the mirror should be able to show Bigby dead Faith when he asks, which means Faith can't be dead. Unless Nerissa is still glamoured as Faith at the point Bigby tries to see her in the mirror and that has some affect. B in my above explanation also makes no sense because if Faith was really Faith in the scene with Woody, how could Nerissa know that she said "you're not as bad as they say you are" to Bigby? In theory, Bigby being who he is could cause two people in a similar situation with him to say the same thing. But since we know someone is in disguise we know that's not the case. A. Somehow convinced Nerissa to glamour herself as Faith while Faith glamoured herself as Nerissa for no particular reason so that when Georgie killed Faith as an example it was really Nerissa who died. Or B. Was Faith when Georgie killed Nerissa but then glamoured herself as Nerissa and somehow Georgie forgot he'd killed Nerissa. Explanation A above makes no sense because why would they be glamouring themselves as each other for no reason and who in their right mind would glamour themselves as someone who was about to be in trouble? B above makes no sense because, well, read it. So that's all I got. My head is about to explode from this going back and forth but I honestly can't figure out for certain who Nerissa really is our who Faith is at the beginning or who survived! 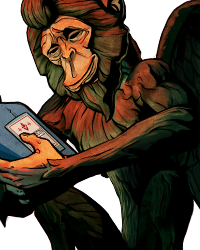 The logical choice seems to be that Faith really lived because Donkeyskin was her story and her in disguise escaping at the end, as she's done before, fits. But it's also possible that the story was used by someone else who knew it to do something similar to what Faith had done in the past. The only thing I know for certain is that the ending wasn't cut and dried and that Nerissa at the end was the same person as Faith at the beginning, whoever they are. Actual decapitation does produce a lot of blood squirting all over the place, which fits with the scene at the Open Arms; there's blood splatter on the bedside table, on the rails of the headboard, and on the pillow for example. In contrast, Vivian's head bleeds very little, blood squirts from the neck only for a moment and then stops: Vivian's decapitation is different from a normal decapitation. Even Georgie's abdomen bled more than Vivian. If Vivian is a good example of what happens when someone is killed by removing a ribbon, then death by ribbon, because it is a magical death, does not line up with what we see at the Open Arms. Other interesting things about the bloody bed, are areas where the blood hasn't settled. It looks a little to me like the shapes of hands, but I can't think of a circumstance that fits it. if the person at the start and at the end are indeed the same person which is implied but not proven then that person can only be faith. this is because the person at the start has to be the real faith the reason for this is that the bruises on faiths face match the ones at the woodlands. now if that person was glamoured they must be the dead person because no one can get a glamour of a glamour so only that head would exist with those bruises. now if that person was faith then someone could glamour themselves as her and have the bruises aswell. this means that if the person at the start and at the end were the same person it could only be faith because only she could survive if it was anyone else then they would have died because it must have been their head infront of the woodlands. this theory is yet to be proven wrong. That would had happened before glamouring herself as Nerissa. That is ofcourse if Nerissa really glamoured herself as Faith. We need to take into account the timing of Lily's death. Remember in Episode 1 Crane says he needs to go for a massage? He goes as Mr Smith to Room 207. That night Lily dies. Beauty also confirms it. Bigby: Must have happened right here. Beauty: I was on shift last night. This means Lily's murder occurs after Faith meets the Woodsman. I also believe it was really Faith at the Woodsman. We know the Woodsman was Lily's client, and there is a note you find in the Pudding & Pie that says Faith helped Lily cover her clients. I doubt Nerissa glamoured as Faith to go to the Woodsman. Why would she? Lily asked Faith to be her cover, not Nerissa. Also Nerissa didn't know Bigby then. She didn't know Toad would call Bigby. In fact everybody thinks Bigby's is "bad". 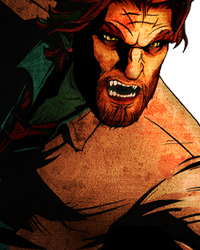 It's only until Faith meets Bigby in person that she realized that Bigby is not as bad as people says he is. If the person at the Woodlands can only be Faith because only Faith's head could have the actual bruises that would have been on the head, then you're saying that Faith is the one dead and therefore Nerissa at the end is NOT Faith, right? if the person at the start and at the end are indeed the same person which is implied but not proven then that person can only be … morefaith. this is because the person at the start has to be the real faith the reason for this is that the bruises on faiths face match the ones at the woodlands. now if that person was glamoured they must be the dead person because no one can get a glamour of a glamour so only that head would exist with those bruises. now if that person was faith then someone could glamour themselves as her and have the bruises aswell. this means that if the person at the start and at the end were the same person it could only be faith because only she could survive if it was anyone else then they would have died because it must have been their head infront of the woodlands. this theory is yet to be proven wrong. What you're saying here is partially true. I agree that it makes no sense that Nerissa would glamour herself as Faith to go meet the Woodsman, (unless Lily didn't know Faith had already died) and I said as much in my non-explanation of events a few comments above. However, everyone knows that Bigby is supposed to be the Sheriff and that he's supposed to be the person you call if there's a crime that needs solving. No one comes out and says Bigby is an evil person. Many are distrustful because they know who he was but no one comes out against him as being evil. Regardless, if you're saying that the person at the beginning is Faith, and based on my non-explanation that means that Faith is also the girl Nerissa in disguisd at the end, how is it then that Nerissa was glamoured as Faith in order for Georgie to kill Nerissa thinking she was really Faith? We need to take into account the timing of Lily's death. Remember in Episode 1 Crane says he needs to go for a massage? He goes as… more Mr Smith to Room 207. That night Lily dies. Beauty also confirms it. Bigby: Must have happened right here. Beauty: Last night? Bigby: Yeah. Beauty: I was on shift last night. This means Lily's murder occurs after Faith meets the Woodsman. I also believe it was really Faith at the Woodsman. We know the Woodsman was Lily's client, and there is a note you find in the Pudding & Pie that says Faith helped Lily cover her clients. I doubt Nerissa glamoured as Faith to go to the Woodsman. Why would she? Lily asked Faith to be her cover, not Nerissa. Also Nerissa didn't know Bigby then. She didn't know Toad would call Bigby. In fact everybody thinks Bigby's is "bad". It's only until Faith meets Bigby in person that she realized that Bigby is not as bad as people says he is. Didn't quite understand what you mean, Are you answering me or answering to Romano's post? how is it that then Nerissa was glamoured as Faith in order for Georgia to kill Nerissa thinking she was really Faith? I believe Nerissa took the fall for Faith. There is a picture of Faith confronting Nerissa. She is pointing at Nerissa. While we may never know for sure what happened, I think the more assertive Faith co-erced Nerissa to take responsibility for ratting on them. More importantly, someone left the Crane-Snow photo at room 207. We know Faith stole the photos, that's why the Tweedles were after her. She probably left it there for Bigby to find. What you're saying here is partially true. I agree that it makes no sense that Nerissa would glamour herself as Faith to go meet t… morehe Woodsman, (unless Lily didn't know Faith had already died) and I said as much in my non-explanation of events a few comments above. However, everyone knows that Bigby is supposed to be the Sheriff and that he's supposed to be the person you call if there's a crime that needs solving. No one comes out and says Bigby is an evil person. Many are distrustful because they know who he was but no one comes out against him as being evil. Regardless, if you're saying that the person at the beginning is Faith, and based on my non-explanation that means that Faith is also the girl Nerissa in disguisd at the end, how is it then that Nerissa was glamoured as Faith in order for Georgie to kill Nerissa thinking she was really Faith? So someone agreed to get decapitated because her friend was mad at her? how is it that then Nerissa was glamoured as Faith in order for Georgia to kill Nerissa thinking she was really Faith? I b… moreelieve Nerissa took the fall for Faith. There is a picture of Faith confronting Nerissa. She is pointing at Nerissa. While we may never know for sure what happened, I think the more assertive Faith co-erced Nerissa to take responsibility for ratting on them. http://i.imgur.com/ldlTqfp.jpg More importantly, someone left the Crane-Snow photo at room 207. We know Faith stole the photos, that's why the Tweedles were after her. She probably left it there for Bigby to find. Guilt. The same feeling that led Vivian to decapitate herself. I agree this sounds very plausible. Very interesting observation. That along with your last comment, I should add. In The Little Mermaid, she chooses to die rather than to save herself by killing the prince after he rejects her, so it's not without precedent. 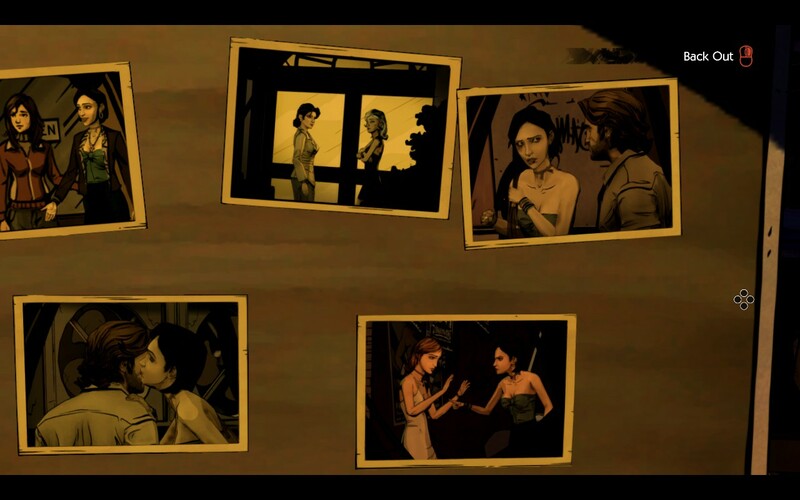 That clears up the timeline, assuming Bigby's right about it being 'last night' - for some reason I was under the impression Lily and 'Faith' died the same night, and that while Faith was covering for Lily, Lily was seeing Crane. But that then raises the question - Lily was still alive the entire day after Faith's head turned up. Why would she carry on with business as usual, knowing that one of her co-conspirators has just been offed? Seems almost everyone in Fabletown knows what's happened. I guess one possibility is that Lily thought - Faith was the one who stole the photo, not me, they wouldn't kill me too. But then you have to wonder why Faith/Nerissa was unable to find Lily at all the whole day, especially if it's written in the appointment book that Lily would be at room 207. Interesting, a related issue that puzzled me from the start was the lack of blood at the first crime very scene in Act 1. This appears to be part of the spell and it could explain the lack of bleeding. Given that the head was there with a surprisingly small amount of blood, consistent with Vivan's death, it truly is interesting why Lily's crime scene is so gruesome. It could be because Lily had more blood to bleed as a troll, but there certainly appears to be hand prints among other indications of it being suspicious. The premise of Nerissa telling Georgie in the first place occurs because Nerissa thought it was the only way to save their lives. She thought that no one was going to get hurt. In fact it is only after Georgie speaks to the Crookedman that he decides he has to make an example (This is what Nerissa tells Bigby at the end of the 5th episode). They could have decided to change places to ease Faith's fears. I think only a few people about it besides Snow and Bigby (e.g. Crane, Swineheart). I remember Crane wanted Bigby to solve the murder before word got out. Even Woody didn't know about Faith's death until you spoke to him in the bar. That clears up the timeline, assuming Bigby's right about it being 'last night' - for some reason I was under the impression Lily … moreand 'Faith' died the same night, and that while Faith was covering for Lily, Lily was seeing Crane. But that then raises the question - Lily was still alive the entire day after Faith's head turned up. Why would she carry on with business as usual, knowing that one of her co-conspirators has just been offed? Seems almost everyone in Fabletown knows what's happened. I guess one possibility is that Lily thought - Faith was the one who stole the photo, not me, they wouldn't kill me too. But then you have to wonder why Faith/Nerissa was unable to find Lily at all the whole day, especially if it's written in the appointment book that Lily would be at room 207. This seems pretty legit to me m8. Specially that Machiavelli thing a few people brought up makes it pretty likely that's the direction the writers wanted to head us in. Right on, TMLC! It's weird, crazy theories like this that end up as "the moon landings were fake" and "no jet hit the WTC, it was… more a hologram". This wild, unnecessary complexity in explanations is like a plague in this country. If there's a simple, obvious answer, then the answer is almost certainly simple and obvious. ok can someone answer, not reading all these book long things go tired, but a couple of things nag me. who the hell died in room 207??? who is that from from?? didn't narrisa say that she walked in on Georgie killing lily and faith?? if ichbod didn't do nothing, and he didn't I know, was he there with those murders happened????? and what happen to faiths/lilys body??? Who died in room 207? --Bigby thinks it was Lily, but he doesn't confirm it. Did Nerissa see Georgie commit the murders? --Nerissa says that she and Gerogie were talking when Faith walked in and he killed her. Was Crane there to witness the murders? What happened to the bodies? --Faith's body is unaccounted for. Lily's was burnt at her funeral. ok can someone answer, not reading all these book long things go tired, but a couple of things nag me. who the hell died in room 2… more07??? who is that from from?? didn't narrisa say that she walked in on Georgie killing lily and faith?? if ichbod didn't do nothing, and he didn't I know, was he there with those murders happened????? and what happen to faiths/lilys body?? ?